4 Bedroom Semi Detached House For Sale in Chelmsford for Guide Price £330,000. Being offered with no onward chain, and presented to a high standard is this four bedroom semi detached house with off street parking and garage to the front. Internally the ground floor accommodation comprises of a spacious, through lounge diner, a WC, and a fitted kitchen. Whilst the first floor is home to four well sized bedrooms with en suite to the master and a family bathroom. 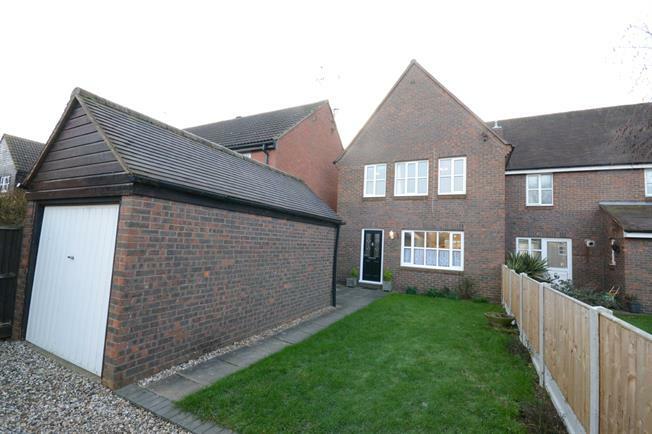 Externally the property features a low maintenance rear garden which has been recently landscaped and a large frontage which includes a gravel driveway providing parking for two cars and access to the garage.